Preface (2nd Edition)	Since “Transesophageal Echocardiography” was published in 2000, tremendous progress has been made in the quality, efficacy, and safety of cardiovascular disease treatment. Cardiovascular surgical procedures that are less invasive and more tissue-preserving have gained popularity, such as off-pump coronary artery bypass, robotic or non-robotic mitral valve repair, and aortic valve-preserving procedures. In addition, the use of percutaneous catheter treatment has increased, including device closure for atrial septal defect, patent foramen ovale, or patent ductus arteriosus, as well as transcatheter aortic valve implantation, mitral valve clip device implantation for mitral regurgitation, and percutaneous transvenous mitral commissurotomy. Further, more patients who undergo cardiovascular treatments are now of more advanced age and/or have a higher surgical risk due to comorbid diseases. In these circumstances, the role of transesophageal echocardiography (TEE) has become more important. The greatest advancement in TEE in this decade has been real-time three-dimensional imaging, which provides a new vision. The “en face view” facilitates comprehension of the morphology of cardiac structures, such as the mitral valve, as well as the ability to guide procedures in the beating heart. TEE is now utilized in various ways: for intraoperative monitoring, evaluating surgical procedures, diagnosing newly developed events, and guiding intracardiac treatment. On the other hand, the performance of computed tomography has improved drastically, enabling the investigator to scan the whole body within seconds and providing high-resolution images with prompt reconstruction in any plane or three-dimensional rendering images. It has enabled the non-invasive diagnosis of acute aortic dissection and aortic rupture with abundant information. At this time, preoperative computed tomography and intra- and immediately postoperative TEE should achieve the best role-sharing to generate the best outcomes. These changes have demanded cardiovascular anesthesiologists to have more skills in TEE and to utilize TEE more than ever. A certification system was first established in the United States as the Examination of Special Competence in Perioperative TEE (PTEeXAM) of the National Board of Echocardiography (NBE). In Japan, the Japanese Board of Perioperative TEE (JB-POT) was started in 2004, and the certificate of the JB-POT has become one of the requisites for certified cardiovascular anesthesiologists. Considering the need to follow these advancements and to cover these expanding applications, a revision of “Transesophageal Echocardiography” was proposed in 2008. Thankfully, a number of distinguished authors have contributed to the new edition. 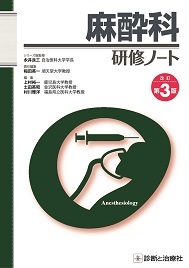 It is regretful that Dr. Yasu Oka, one of the editors of the first edition, declined the editorship of this version. Instead, Dr. Steven N. Konstadt joined as the editor, later assisted by Dr. Kazumasa Orihashi. The editors asked each contributing author to submit a manuscript that provides the most up-to-date information on a specific topic and that is useful for clinical practice, containing comprehensive images and illustrations. Although it took nearly 4 years to complete the revision process, the manuscripts have been meticulously updated. We editors would like to express our sincere gratitude to each author for his or her generous and excellent contribution, as well as to the publisher, SHINDAN TO CHIRYO SHA, Inc. for such persevering and elaborate work. Due to the expanded application of TEE and the increased content, this revised edition is approximately 100 pages longer than the previous version. Thanks to the publisher, however, the purchase price has remained the same. The editors are proud that this book covers all areas of TEE application at the highest level and hope that this book will stimulate readers to take full advantage of TEE and provide their patients with the best possible treatment. Preface (1st Edition)	Despite its semi-invasive nature, transesophageal echocardiography (TEE) is now an established and standard diagnostic technique in the clinical disciplines of cardiology, cardiac surgery and anesthesiology. Interestingly, we can trace the roots of transesophageal echocardiography for greater than 20 years. Frazin first reported the clinical use of TEE in 1976 after using M-mode echocardiographs taken from within the esophagus. Oka’s group subsequently reported the use of this technique in 1980 for use in the continuous intraoperative monitoring of left ventricular performance. Important studies illustrating the significant clinical applications of TEE and improvements in related technologies followed rapidly in the United States, Europe and Japan. The present general acceptance of transesophageal echocardiography can be attributed to the unique and extremely valuable information provided by utilizing the combination of color Doppler and TEE, which began around 1986. Remarkable progress in TEE probe technology has been advanced during these ten years, producing a wide variety of probes including pediatric probes, biplane probes, matrix array probes, multiplane probes, and panoramic probes. From the initial introduction of the transesophageal echocardiographic technique, TEE’s major role has been to manage patients promptly on the basis of significant and clear clinical findings. This may be the reason why many anesthesiologists and cardiovascular surgeons, as well as cardiologists, have enthusiastically accepted the clinical use of transesophageal echocardiography. In mitral valve repair or the management of acute aortic dissection, for example, transesophageal echocardiography is indispensable for the evaluation of the surgical procedure before the chest closure, or patient management decision-making. During these ten years, many celebrated textbooks illustrating and describing Transesophageal Echocardiography have been published. A listing of the major and pivotal publications follows : Erbel. Khandheria et al (eds.) in 1989, Sutherland, Roelandt et al (eds.) in 1991, Oka, Goldiner (eds.) in 1992, Maurer (ed. )in 1994, Oka, Konstadt (eds.) in 1996, Roelandt, Pandian et al (eds.) in 1996, and so on. These publications have contributed significantly to the education, standardization, and the expanding use of transesophageal echocardiography. The technologies related to transesophageal echocardiographic techniques are still expanding and these technologies are emerging and growing in large steps. The list of clinical applications for transesophageal echocardiography is also growing resulting from the introduction of new and innovative medical and surgical treatments. For example, minimally invasive cardiac surgery or implantation of left ventricular assist devices usually requires monitoring utilizing transesophageal echocardiography. 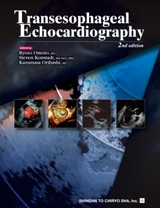 The primary purpose of this textbook, “Transesophageal Echocardiography”, is to present the reader with the current state of the art in Transesophageal Echocardiography techniques and clinical application. This textbook is also aimed at providing fundamental and comprehensive knowledge in Transesophageal Echocardiography including practical techniques on how to utilize TEE, diagnostic interpretation of images obtained using TEE and the impact on patient management resulting from TEE findings. This book contains three major parts. Part I contains information on basic and technical considerations. Part II contains information and analysis of cardiovascular diseases. Part III contains information on specialized applications utilizing TEE. All of the chapters provide easy-to-understand explanations along with many relevant diagrams intended to assist the reader in a comprehensive and current understanding of transesophageal echocardiography and its clinical utility. I strongly wish that this new textbook “Transesophageal Echocardiography” will offer and provide an up-to-date, practical and useful reference source for cardiologists, cardiac surgeons, anesthesiologists, and also sonographers who are involved or interested in transesophageal echocardiography. Finally, I would like to express my indebtedness to Dr.Y. Oka, for without her invaluable co-editorship this new issue “Transesophageal Echocardiography” could not have been realized.